Questige - Lower cost, higher quality employee benefits. Find out which numbers matter most when 2x best-selling author, John W. Sbrocco, gets interviewed live on the Times Square Today Show. We focus on outcomes over everything else. Our healthcare strategies help us to minimize premiums and maximize benefits, but that’s not our only goal. In many cases, we also get the thrill of delivering a lump-sum refund of unused premiums in form of a check. When we began consulting this commercial door manufacturer, our analysis projected upwards of $100,000 in unnecessary healthcare expenses with their existing Oxford plan. Our strategies were put in place for 2016 and although they saw immediate cost reduction, it wasn’t until our end of year review that the final savings was tallied up for a total spend reduction of $200,000. This elevator company’s renewals were through the ceiling before we got involved. They were looking at a 25% increase before they had enough and called us in for a second opinion. Our strategy and direction took what would’ve been a 25% increase and turned it into a 15% decrease from the prior year. 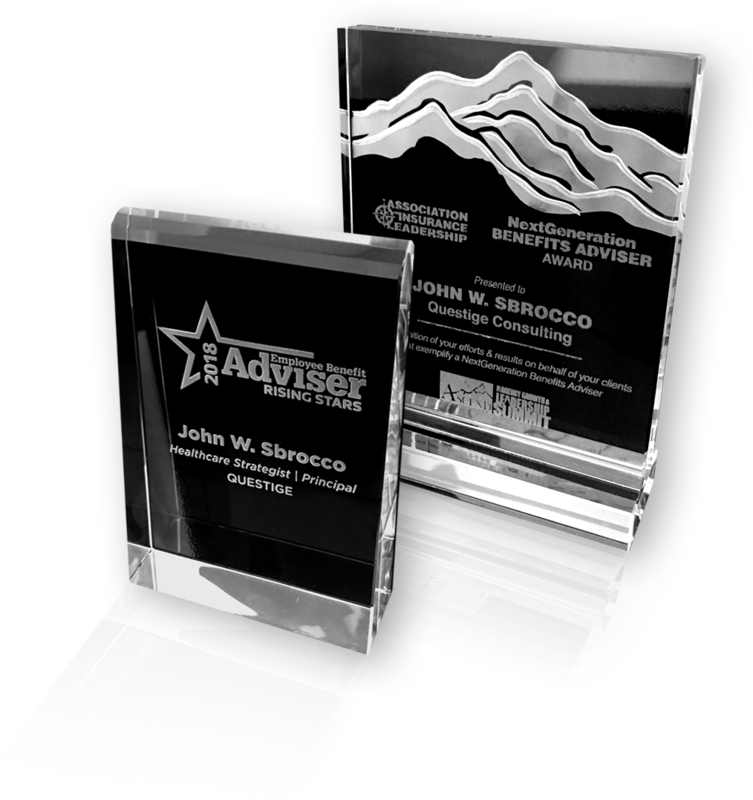 We’re humbled to announce that our very own, John W. Sbrocco, has been named EBA Rising Star and NextGen Benefits Adviser Award Winner for 2018. While client outcomes are always top priority, having those outcomes recognized by the industry’s top authorities is the icing on the cake. See if you qualify for our services.